Welcome to the support page. 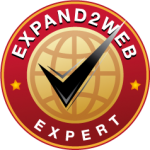 If you would like to access the tutorials you must be a customer of Simple2Web. Forgot the access information? Simply email Vip@Simple2Web.com. Access the tutorials click here.